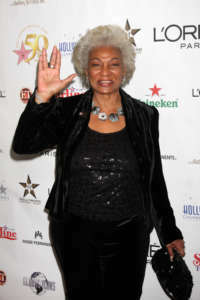 The actress Nichelle Nichols, 85, who is most famous for portraying Lieutenant Uhura on the original “Star Trek,” is currently the subject of a conservatorship battle pending in Los Angeles Superior Court. Ms. Nichols’ son, Kyle Johnson, filed the petition for conservatorship in May and succeeded in persuading the court to appoint four temporary conservators to take control of his mother’s legal, financial and personal affairs. The case is set for another hearing on September 10 to determine whether the temporary conservatorship should be made permanent. 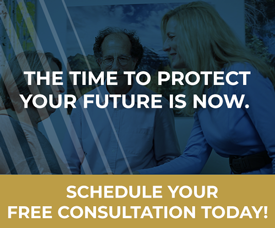 Conservatorship is a court-supervised procedure, designed to protect people who, due to mental illness, brain damage or development issues, dementia and other reasons, are incapable of managing their own affairs. The petitioner, often a family member, begins the process by filing a petition for the appointment of a conservator. The proposed conservator is often the petitioner, although in Nichelle Nichols’ case, her son apparently requested that four licensed professional fiduciaries be appointed, not himself. These cases then proceed to the judge holding a hearing and appointing the conservator on a temporary basis, followed by another hearing a few months later. In the interim, the court’s own investigator will talk to the subject (in this case, Nichelle Nichols), to the family members and other relevant persons, and file a report for the judge to consider. A physician who has examined the subject also submits a statement detailing the subject’s condition and capabilities. The judge will appoint an attorney to represent the subject. Before the second hearing other interested persons have an opportunity to submit their own pleadings. Sometimes other family members will oppose the petition because they themselves want to be appointed conservator or because they do not approve of the proposed conservator. Sometimes the subject will object to having a conservator. In Nichelle Nichols’ case, her friend, Angelique Fawcette, has filed a pleading asserting that Nichelle Nichols does not need a conservator. Conservatorships can be very messy, even ugly, processes. Because they are taking place in court, everything is on public display. Because everyone must be represented by an attorney, the petitioner, the conservator and the subject, it can get very expensive. And, unfortunately, sometimes people have less than honorable motivations for becoming involved in the case, and the case can become a battlefield where family relationships are destroyed. In Nichelle Nichols’ case, she is unmarried and has only one child, so there is no power struggle among siblings, as is often the case. However, there is a dispute among people close to Ms. Nichols as to whether she even needs a conservator. Whether or not she needs a conservator to handle her affairs for her is a question of fact that the court will have to resolve, possibly by sending the parties to mediation, or by conducting a trial. The legal fees add up very quickly either way. What Could Nichelle Nichols Have Done Differently? When we do estate planning with our clients we are trying to, among other things, avoid having to go to court. 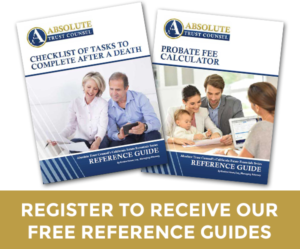 Obviously, this means planning to avoid a probate after death by using trusts and other planning tools. We are also trying to avoid court during our clients’ lives in the event of incapacity. This aspect of estate planning often doesn’t get the attention it should, which can cause a great deal of difficulty for other family members. If Nichelle Nichols had done items 1, 2 and 3, chances are a conservatorship would not be needed. She would already have identified the people who would step in and start managing things for her and they would have full legal authority to do so without having to go to court. Sometimes, in very unique situations, even when all of that planning is in place a conservatorship is needed, not so much to assist the subject but to protect him or her. When someone has a conservator their legal rights are taken away and given to someone else, the conservator. People with mental deficits can be taken advantage of: convinced to sign contracts, to make investments or to give away money when that is not in their best interest. By appointing a conservator, the court protects the person by making it legally impossible for them to do such things. That is a rare and extreme case, but if it ever happened to you, you would want to make sure you have taken care of item 4 above by nominating the conservator you want. 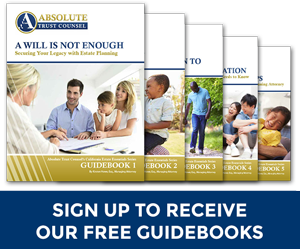 Make sure you have a complete written estate plan including all necessary components of an incapacity plan.